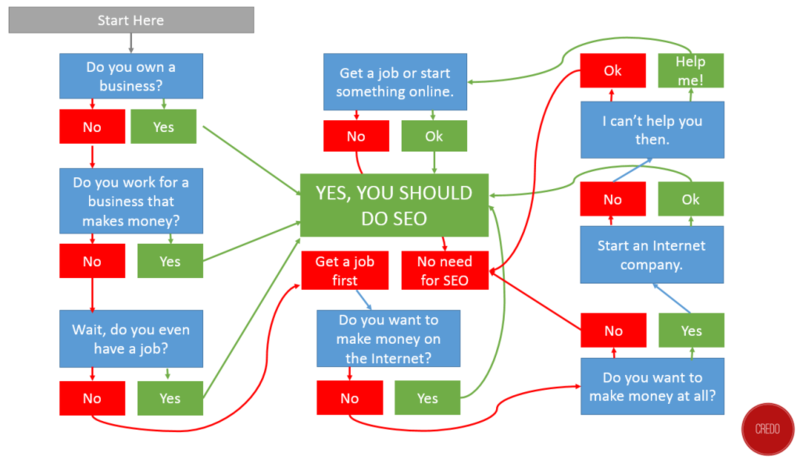 Should I (or my business) do SEO? Hey John – As you can tell, I pretty much every business that wants to make money online should do SEO. That said, SEO will have different profitability from business model to business model, so other channels should be investigated as well (Paid, CRO, etc).